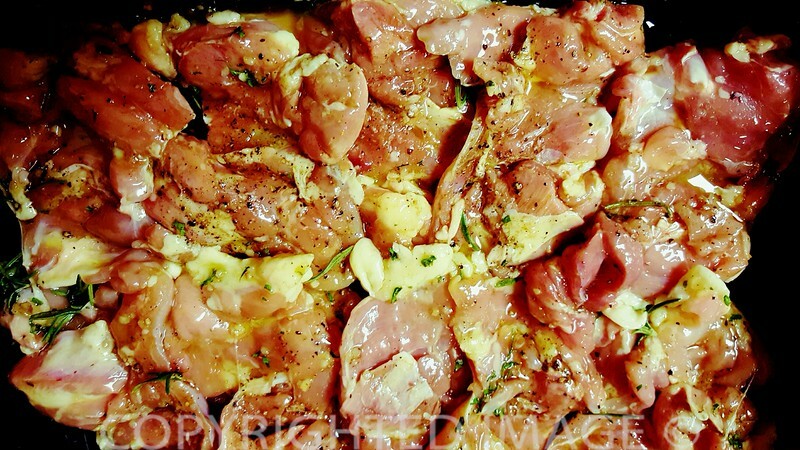 Looking for an easy grilled chicken thighs recipe? The idea was to take on a Rachel Ray recipe for grilled chicken thighs. 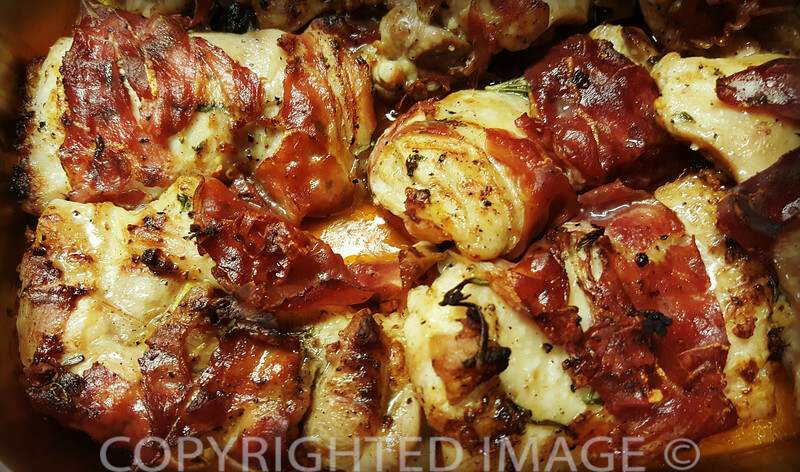 Chicken thighs marinated in olive oil, garlic and rosemary; drizzled with balsamic vinegar and grilled wrapped in prosciutto. Last night’s dinner had to be quick and easy. So I imagined it to be. It sounded aromatic, quick to prepare and delicious! In other words, everything about this easy grilled chicken thighs recipe was perfect when you need dinner on the table in the shortest time possible. I can sauté diced potatoes in the same amount of time as it takes to cook the chicken. There is even time to assemble a salad! Sounds like a “thirty-minute meal” to me. Unfortunately, I did not count on one of the ceiling fixtures in the kitchen blowing an electrical ballast and leaving me to cook in the dark. At this point, the Rachel’s original recipe evolved into a new version. 8 to 10 slices of your favorite prosciutto harm (sliced paper thin). My favorite is San Daniele prosciutto which is available at most delis. Have it cut at the deli because the packaged ham slices are much smaller. You want to be able to wrap the chicken thigh completely with some overlap so the ham does not come off during the cooking process. My aim was for moist grilled chicken thighs! The recipe had already been changed to make it more streamlined. Rachel’s recipe calls for the cloves of garlic to be sliced as thin as possible. I reached for a container of crushed garlic. I did strip the rosemary leaves off the sprigs and broke them into small bits in the marinade. The prosciutto was not secured with additional sprigs. It was going to have to find a way to stay put once wrapped around the chicken thighs. My marinade consisted of olive oil (not measured just poured), crushed garlic (to taste), the equivalent of two large sprigs of chopped rosemary leaves (finger tip crush), coarse salt (sprinkle a reasonable amount), and freshly cracked pepper (three or four twists of the pepper mill should be enough) to taste, well stirred with the back of a soup spoon to combine all ingredients. 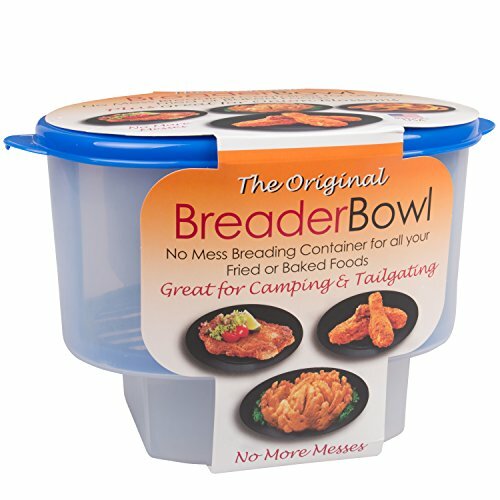 Place the chicken pieces in the marinade container, coat on one side with olive oil mixture then with a coating of balsamic vinegar. Turn the chicken over and spray the other side with vinegar. Done! This is where the recipe went off on a tangent. I was now completely in the dark as the light fixture was not yet repaired. The chicken marinated in the olive oil mixture for close to 45 minutes before I could move on to the prosciutto wrapping and cooking process. I am all for intense flavors and the lengthy marinade imparted a wonderful flavor to the chicken. This could not hurt the recipe in any way. I love my Lodge® cast iron stove top reversible grill but, last night, it just seemed like a lot of work to prep the double burner griddle. Instead, the chicken was cooked a few pieces at a time in a smaller square cast iron grill pan generally reserved for steaks. I cooked the chicken just long enough to take on grill marks and cook partially through on both sides before I transferred them to a roasting dish. Then I baked the chicken for about 20 minutes at 350 degrees while I prepared the rest of the meal. The result? 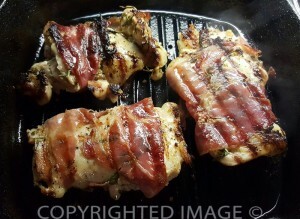 The best grilled chicken thighs ever – incredibly juicy grilled boneless chicken thighs wrapped in a paper thin crispy coating of ham. What more can anyone expect from a simple recipe? Thank you Rachel Ray for a quick and easy grilled chicken thighs recipe!